Blow drying your hair can be a tedious, time-consuming chore unless you have a quality blow dryer. Hot Tools sells over thirty different kinds of blow dryers. They offer everything from standard dryers to travel size/folding dryers to dryer brushes to hard and soft bonnet dryers, as well as professional and roll-about models. 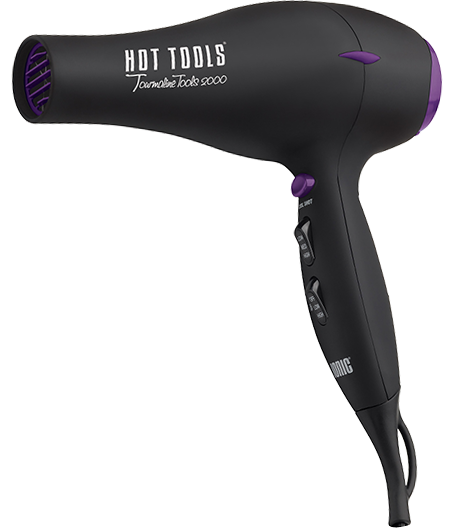 Hot Tools has earned a reputation for quality hair dryers that perform under tough conditions with consistently great results. Each of their blow dryers is impressive, but one dryer in particular was voted by salon professionals as the number one blow dryer. 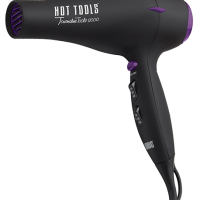 The Hot Tools Tourmaline Ionic Lite Professional Hair Dryer (#1043) is lightweight, but contains eight settings for speed and heat, giving it remarkable versatility. The Tourmaline magically transforms heat into far-infrared energy, which penetrates the hair into the cortex. This enables it to dry the inner hair without drying out the cuticle. A dry cuticle, hair will be more brittle, so when you are able to not dry it out it looks and feels moisturized, even when totally dry. In addition, the ionic technology can reduce frizz and flyaway hair and leaves your hair smooth and silky. Not to mention that it has 1600 watts of power saves 15% more energy while drying in half the time. Its 1¾ inch nozzle can be used with the concentrator or pik attachment, which come included, but it also accepts most universal-fit diffusers. Hot Tools stands behind all their products with warranties that will last between one to three years. Hot Tools Hair Dryers solve the most frequent problems that users have with blow-dryers—the frizzy, dried out hair that takes much too long to dry. With hundreds of blow-dryer options out there, Hot Tools must be pretty special to receive such a distinguished award. Hot Tools’ commitment to bringing advanced technology to hair styling tools has brought them to be an award-winning salon brand.